It is a well known fact that the couples who travel together stay together. These couples have strong bonding with each other like never before. Travelling always affects couples relationship positively. Couples who explore the world together have healthier and happy relationships. It gives you a chance to experience some amazing together. They have better communication : Couples who travel together can easily survive with each other. They spend their time together and agrees with each other. They have probably very less disagreements. They share thoughts with each other and handle every situation with patience. They Experience new things together : Couples who travel and explore together can experience something new which helps them to grow together. This fills their lives with some more memories. They learn to laugh together, see things together and work together. They have same purpose and goal : Couples who travel together shares the same purpose and goal while travelling together. They explore some thrilling destinations together with endless adventure which makes them want to stay together. New people, new places makes their relationship strong. 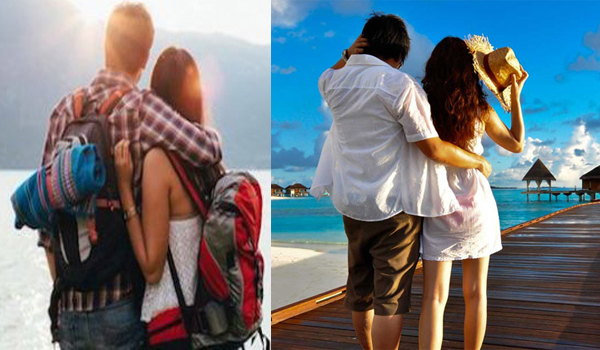 They become best friends : Couples who travel together ultimately become best friends. They stick with each other in every situation and face every challenge. They love each other’s company and enjoying spending time with each other. They don’t have secrets : Couples who travel together see the best and worst of their partner. They see the best quality, secrest , habits of each other. They really know each other and accept each other personality. They Experience the freedom together : Couples who travel together experience the freedom and independence while travelling. They learn to respect and comfort each other. Every relationship needs freedom and the one who travel together experience the perfect freedom. They Forgive each other : Couples who travel together are more forgiving. They forgive each other and moves on. This helps in growing with each other in a better way and makes their bond stronger.